Fred Sandback: Zeichnungen und Druckgraphik. Galerie Fred Jahn, Munich. March 4–26, 2004. Fred Sandback Prints: A Survey. Susan Sheehan Gallery, New York. March 30–June 12, 2004. Fred Sandback: Sculpture and Drawing. Zwirner & Wirth, New York, April 1–May 1, 2004 and Lawrence Markey Gallery, New York, April 8–May 1, 2004. 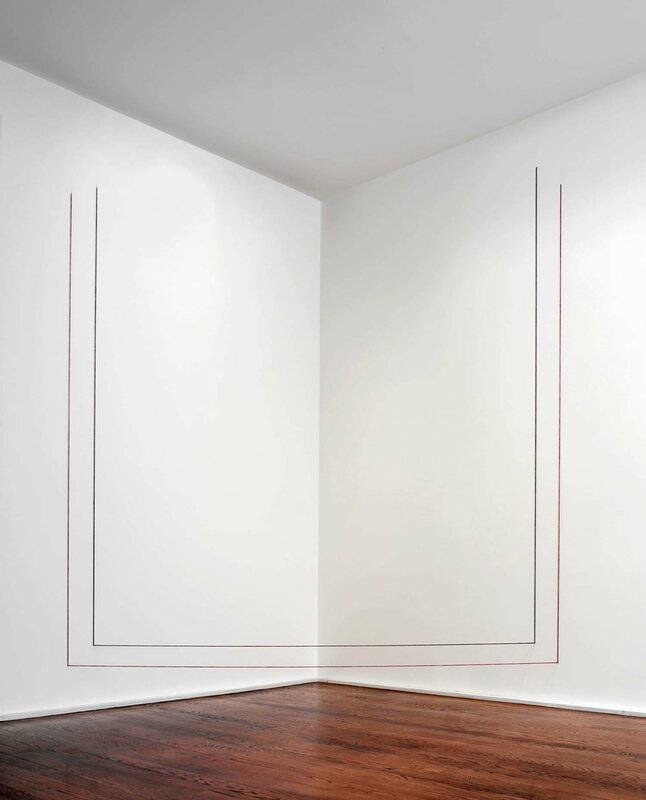 Fred Sandback: Prints, 1971–79. Dan Flavin Art Institute, Bridgehampton, New York. May 20–October 3, 2004. Fred Sandback: Zeichnungen und Grafiken. Galerie Hübner, Frankfurt am Main. September 2–October 8, 2004. Fred Sandback: Skulpturen, Zeichnungen, Druckgraphik, Portfolios 1968–1994. Galerie Jürgen Becker, Hamburg. September 3–November 6, 2004. Fred Sandback: Sculpture. Galerie Meert Rihoux, Brussels. September 16–October 30, 2004. Fred Sandback: EditionedSculptures, Drawings, and Prints, 1968–1976. Barbara Krakow Gallery, Boston. October 23–December 8, 2004. 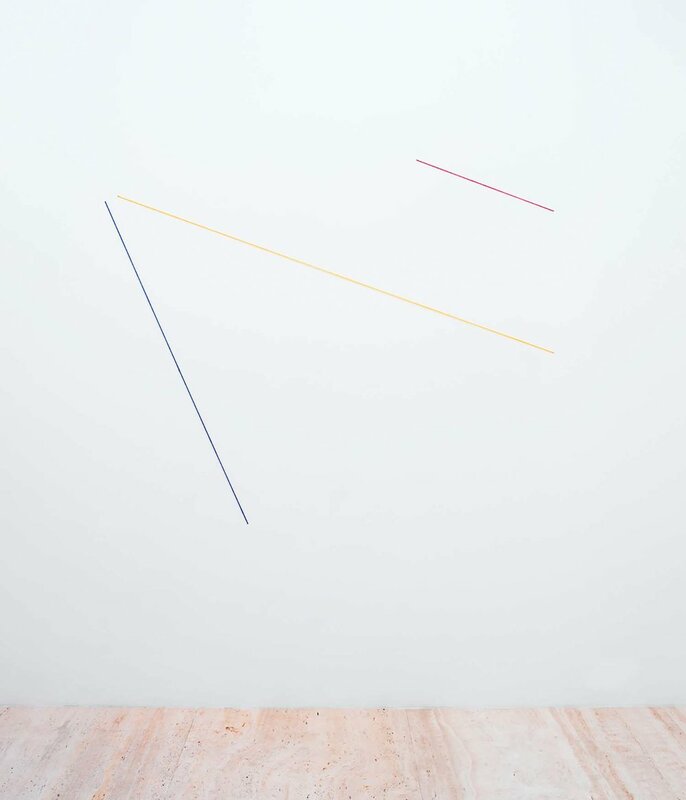 Fred Sandback: Sculpture and Pastel Works on Paper. Rhona Hoffman Gallery, Chicago. October 29–December 4, 2004. Durchleuchtet: Dialog mit der Sammlung. Kunstmuseum Liechtenstein, Vaduz. March 19–May 30, 2004. How Sculptors See. Worcester Art Museum, Massachusetts. April 8–October 10, 2004. Woodwork. Anthony Grant, Inc., New York. June 9–August 27, 2004. ÀAnglesvifs. capcMusée d’art contemporain, Bordeaux. June 10–September 26, 2004. Inauguration Donation Albers-Honneger. Espace de l’Art Concret, Mouans-Sartoux, France. Opened June 26, 2004. Beyond Geometry: Experiments in Form, 1940s–1970s. Los Angeles County Museum of Art, Los Angeles. June 13–October 3, 2004. Traveled to: Miami Art Museum, Florida, November 18, 2004–May 1, 2005. L’Art au futur antérieur: l’engagement d’une galerie, 1975–2004. Musée de Grenoble. July 10–October 4, 2004. Sommer’ 04. Annemarie Verna Galerie, Zürich. August 9–September 18, 2004. Minimal und ConceptArt: von Albers bis Judd. Museum moderner Kunst Stiftung Wörlen, Passau, Germany. September 2–October 10, 2004. Invisible Silence. David Winton Bell Gallery, Brown University, Providence, Rhode Island. September 11–October 24, 2004. By America. Galerie Steinek, Vienna. September 19–October 28, 2004. Specific Objects: The Minimalist Influence. Museum of Contemporary Art San Diego, La Jolla, California. September 26, 2004–September 4, 2005. Minimal Artists Try to Make Something Look Like Nothing And Conceptual Artists Try to Make Nothing Look Like Something, Or Is It the Other Way Around? Yvon Lambert, New York. November 5–December 18, 2004. Fred Sandback, Neil Jenney, Blinky Palermo, Richard Tuttle. Margarete Roeder Gallery, New York. November 9–December 18, 2004. Immersion. Art Institute of Boston, Lesley University, Massachusetts. November 11–December 23, 2004. Sets. Barbara Krakow Gallery, Boston. December 11, 2004–February 2, 2005. 35 heures. Les Laboratoires, Aubervilliers. December 17–18, 2004.